As-salamu alaykum and hello everyone ♡ . Come give me a big applause because I just submitted my Final year Project report just now! Weee! now I am free! Muahaha! Now I get to focus more to my project and blog. So today I am going to blog about a recent event I went. So recently, Nature Republic have open another store at Berjaya Times Square. It is located between Sasa Malaysia and Holika Holika at Level 2. It is a big store and you can run around! No just kidding. Don't run run inside there aaa... So me and the other Butterflies got the chance to come and witness ourselves and shoppingg... hehe. So I am going to give you a little tour and what product you should check out at Nature Republic this instant! During that day also, they provide free flow of Bubble Drink, cotton candy and pop corn! The store manager claims this Aloe Vera gel is their best seller items. It is a multipurpose gel that can be use as a moisturizer, mask pack, makeup base, after shaving cream, hair treatment, eye relaxing mask, nail essences, to be use all over the body, and also under to treat sunburn. I bought this one and will do a review soon. The Soothing & Moisture Aloe Vera 92% Gel retails for RM32.90 and the Moisture Aloe Vera 92% Foam Cleanser retails for RM28.90. The most spend section I made on that day. I am a fan of mask pack than a sheet mask because I love to spread the mask all over my face and then I can just continue doing my stuff while waiting for it to dry. These are just some of it I find interesting. They have lots of mask selection, cleanser and treatment to be choose from. I bought like 3 type of mask pack that day from this section haha! So check out Garden Recipe Kohlrabi Pack price at RM36.90, Soft Creamy Egg White Cleansing Cream at RM34.90 (no, this does not smells like eggs, haha) , and a cool acne treatment product called Bee Venom ink Spot that retails for RM73.90. I wanted to buy this one, but its a lil pricey to me. It comes with a cotton swap to and packed so nice in a box. 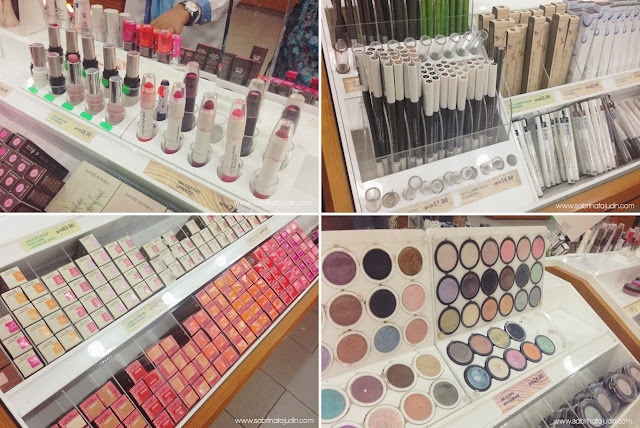 Now to other makeup product, Nature Republic also carries all such as, Eyeliner, Eyebrow pencil, Eyeshadow, and other. I was fascinated most by their lip collection. All so cute packaged and lots of color option. If you are looking for a Korean lipstick with cute embossed pattern on it, look out for this (as in picture, left to right) Shine Blossom Rose Long Lasting Lip Stick RM63.90 each have more than 8 shades to choose from, Big Crayon Lip Rouge RM29.90, have more than 6 shades to choose from, Provence Rose Gloss RM40.90 **pssst! look how cute the packaging are! hehe. More than 10 shades to choose from. 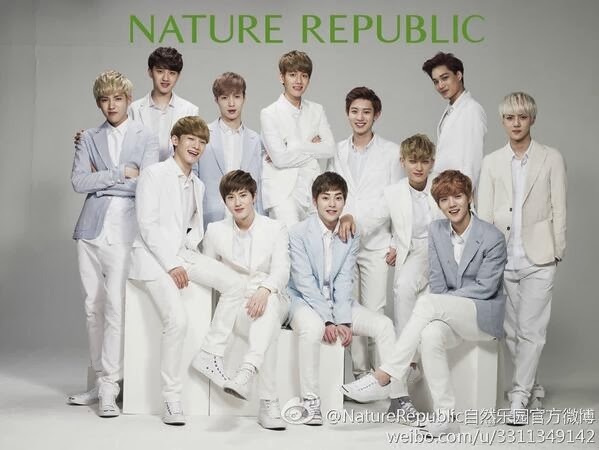 Nature Republic also carries product for your hair and body. They have ranges like body wash, body scrub, body lotion, hand cream, foot mask, and many more. Here what I think interesting, (as in above picture left to right) Homme Sports For Soldier Special Set retails for RM62.90 consist of a after sport activities care, I love the foot spray. So cooling and I think will be a great product for your smelly feet after a sweaty sport activity. Hehe. Then look for this cool personalize hand cream called the Hand & Nature Hand Cream than comes in more than 6 styles and scent. Each have its own design on the aluminium tube type of packaging (If I am not mistaken, this is a newly launch hand cream and they have a Buy 1 Free 1 offer for limited time) retails for RM34.90. Also as mention they have a body care range, called the Perfume De Natural Creamy Body Wash comes in more than 3 scent set retails for RM81.90. Any nail art fan here? Check out Nature Republic nail products. Mots of color to choose from and selection of texture too. The plain white cap called the Color Waltz retails for RM5.90 each, The textured and glitter ones called the Style : Lean Nail Color retails for RM15.90 and these cute stickers and nail art decal called the Style Lean sticker retails for RM9.90 Each pack. I love the leopard design! Wooo! My haul! Since I am the first 50 customer who made a purchase since of theri opening I also got some free stuff! Thank you so much! Also, I buy some stuff for their Buy 2 free 1 promotion! This promotion ends 31 January 2014, so hurry up! How the Buy 2 free 1 works is tat If you bough 3 items, you just need to pay for the 2 most higher price, and the least price will consider as free. I had lots of fun during that day, Thank you to Nature Republic Times Square for this awesome deal and as well to my beloved community, The Butterfly Project for this awesome opportunity! Thank you to Innanie, Sabby, and Farah accompany me during my shopping spree! Oh K-Pop fans here? Did you know EXO is their official Ambassador? I saw a few young girls so excitedly taking picture with a big poster in the shop. Lucky those girls! On our purchase we got a big poster of the EXO group and decided to give it to them. They were like so happy. Haha! So cute! You need it more girl! 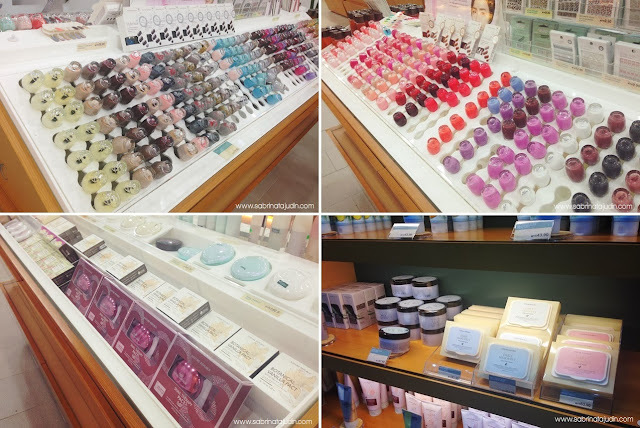 Do you love Korean cosmetics products? There's a Nature Republic outlet at Melaka that I once went to. It was very big and spacious, I really would love to have my own sweet time looking around as I never knew what product they have. But one major turn off, the SA was like tailing 1 inch behind me and I felt no privacy at all =_='' their products that you pictured here are so captivating! haha... tell me about that! i know right. i hate when the SA following you like you gonna steal something. Hope if they read this they wont do it again. At least look from the far and be ready to be called if we need anything right. There are small kiosks and booths in Bangkok. So envy! I use Aloe Vera gel and I think it's good. really? you should come Malaysia then. hehe. i got to admit that here in Malaysia, they are so many Korean cosmetics shops. Such a breaking news to me!! very excited to visit them on my next trip to TS. hey, i'm kind of curious..hmm r they allowed u to take pics inside the shop? hey, Sab! I've been to this store like many times before and always notice that there are bunch of boxes somewhere and was wondering why they seems haven't unpack or something. Didn't know that the store haven't had their opening yet! So true! They have huge range of products and I've tried the aloe vera gel and wash-off packs. totally in love with NR products! aww~ i remember those days when i'm so into kpop stars and kept a lot of posters. so sweet of you girls. Hey Nuraini! I currently love how multi function the aloe vera gel is! i will continue to test the product and let you know what i like about it too. hehe... ya, the girls seems to be so happy when we gave them the poster. haha! so cute! "Nature Republic have open another store at Berjaya Times Square. 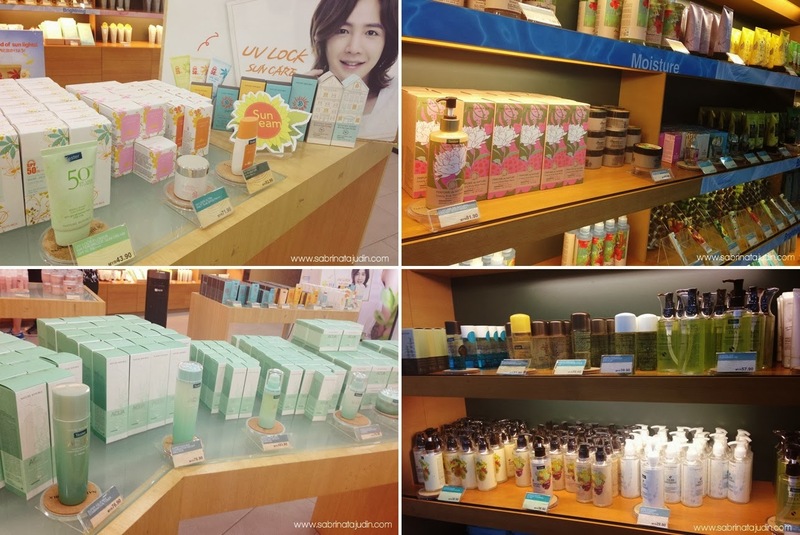 It is located between Sasa Malaysia and Holika Holika at Level 2. "